India’s top-performing local corporate bond fund is making another contrarian bet after its decision to buy notes during last year’s liquidity squeeze in the market paid off. 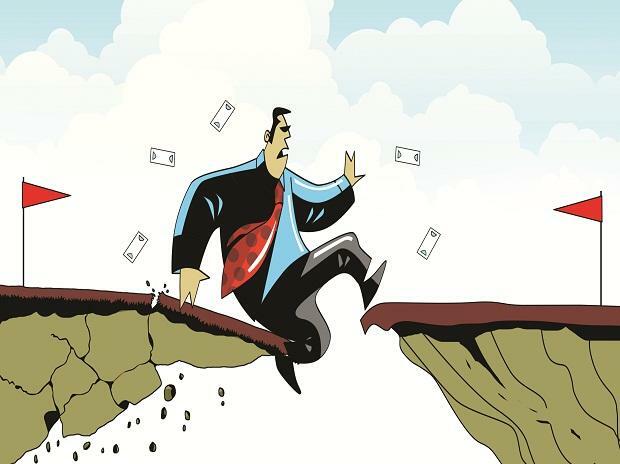 DSP Investment Managers’ corporate bond fund is adding to holdings of debt from non-banks even as the shock defaults by Infrastructure Leasing & Financial Services Ltd., sometimes called India’s mini-Lehman moment, still hang over the sector’s debt. Those notes offer higher yield premiums than publicly owned companies. The Reserve Bank of India on Thursday cut interest rates for a second time this year in the face of headwinds to the economy at home and abroad. While non-bank lenders and housing finance companies have struggled to find buyers for their debt since the IL&FS crisis, overseas investors such as Blackstone Group LP have seized the opportunity to make acquisitions in India’s mortgage financing market. “When the economy is exposed to the problem of cost of money, the growth trajectory tends to slow down, which often indicates the turn of the interest-rate cycle,” said Saurabh Bhatia, head of fixed income at DSP Investment Managers, in an interview last week. “These become opportune times as you benefit from higher yields without diluting the credit or duration profile of the portfolio,” according to Bhatia, who oversees 380 billion rupees ($5.4 billion) in assets. DSP’s company bond fund was the top performer among 17 rupee corporate note funds in the last six months, according to data compiled by Bloomberg. It returned 6.91 per cent in the period, compared with an average performance of 5.53 per cent, the data show. Bhatia’s firm started the DSP Corporate Bond Fund in early September when yields on short-term debt surged to about 9 per cent after IL&FS’s defaults. The yield on AAA-rated non-bank five-year bonds climbed five basis points to 8.53 per cent last week, still 11 basis points above the average during the past five years, according to Bloomberg-compiled data. It’s also above the average yield for all five-year AAA Indian corporate bonds by about 40 basis points. DSP Investment Managers is part of the DSP group, a Mumbai-based financial services firm which started a stock broker business in the 1860s, according to the company’s website.